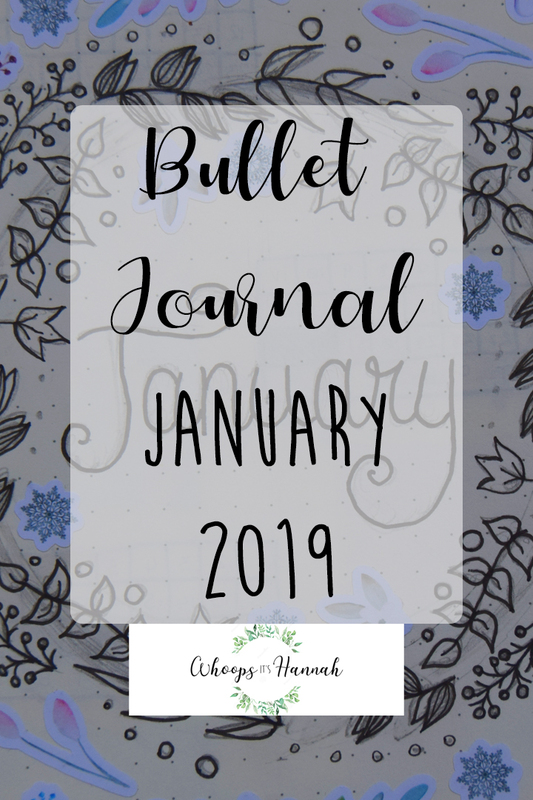 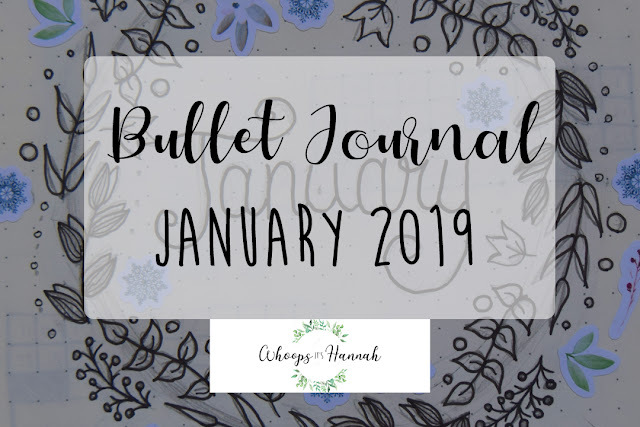 Today I wanted to share my bullet journal set up for January 2019, to give fellow bullet journallers some inspiration for future months. My cover page is a wreath, inspired by the hundreds of cover page wreaths I've come across on Pinterest. 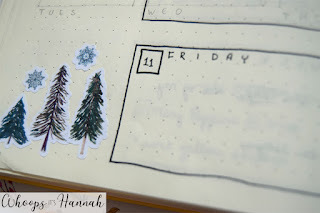 I've done wreaths before but I'd never filled them out so much before; they never looked this busy and involved, but I really like how this one looks. 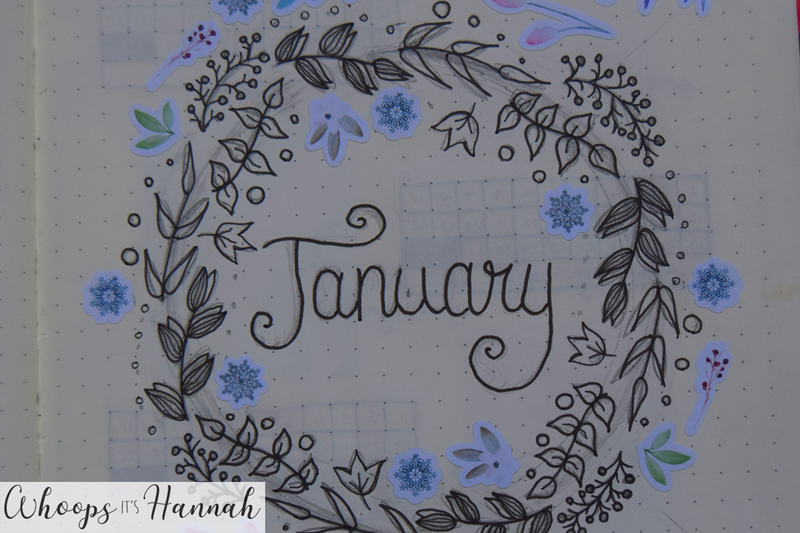 I added some stickers from Elliebeth designs into the wreath and into the corners to add a little bit more interest and another texture, and I'm so happy with how this cover page looks - it's now one of my favourites! 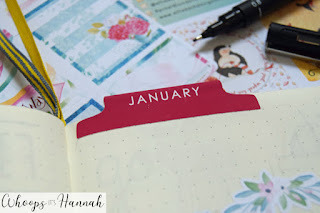 I've continued in the same notebook I used throughout 2018, and that means that 2019 started right in the middle of a notebook. 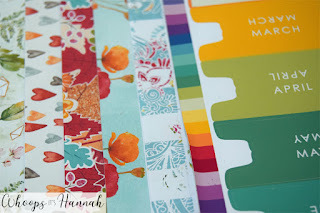 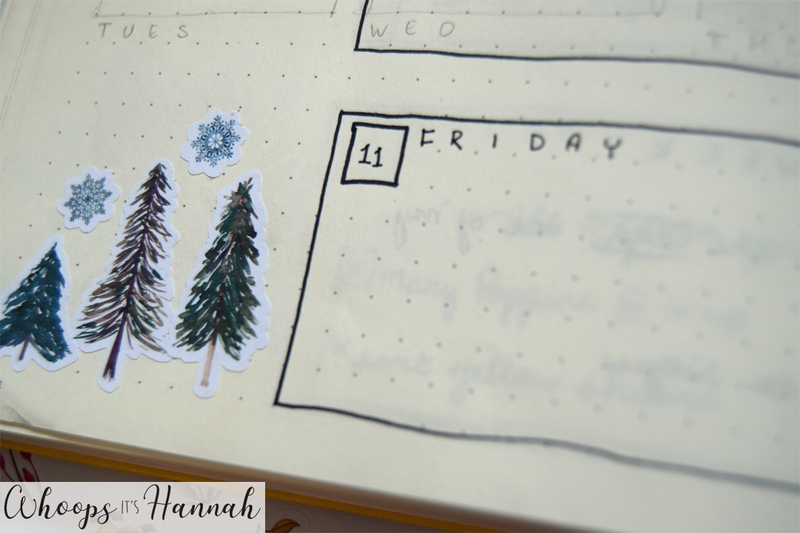 To make each month of the year more easy to find, I got these tabs from Elliebeth Designs. 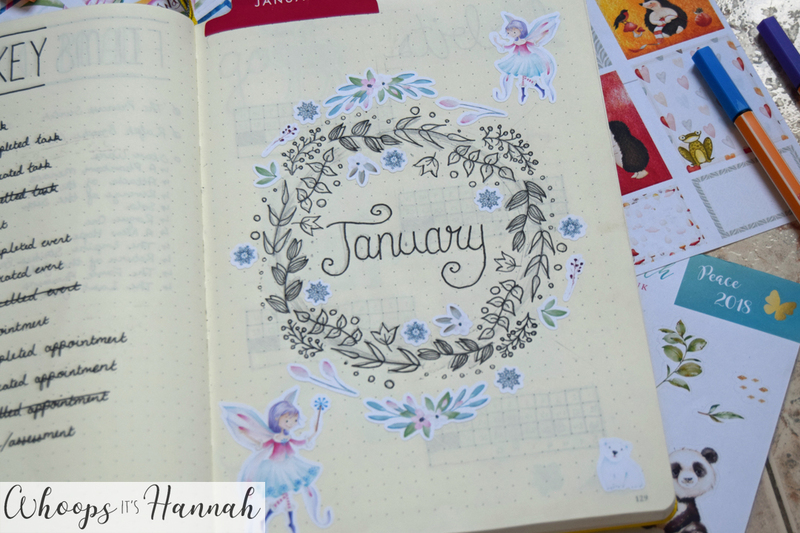 I really like the rainbow colours and I'm looking forward to adding to the rainbow every month this year! 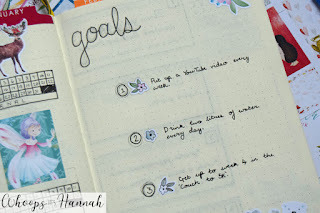 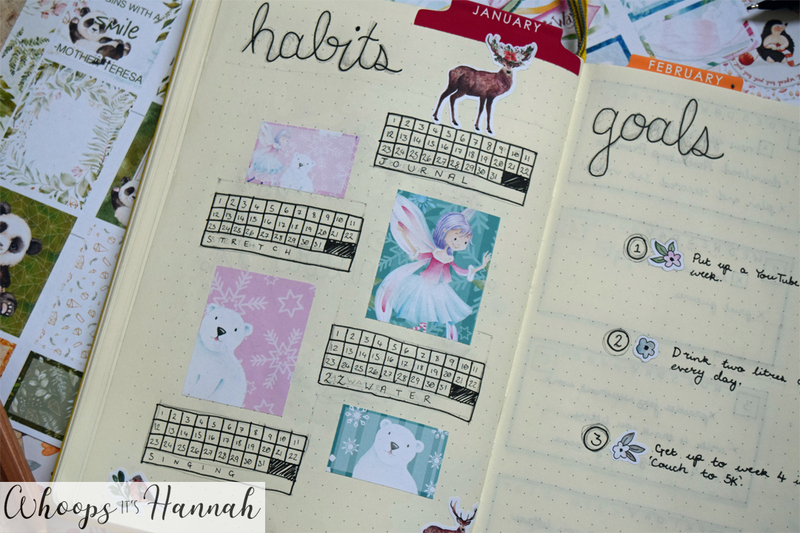 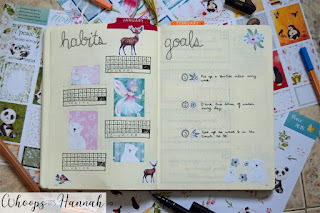 I always like to set my habits and goals for the month using this basic layout. 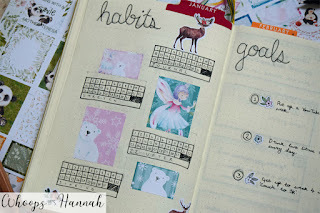 This month the habits that I want to achieve are journalling, stretching, drinking two litres of water, and singing daily. 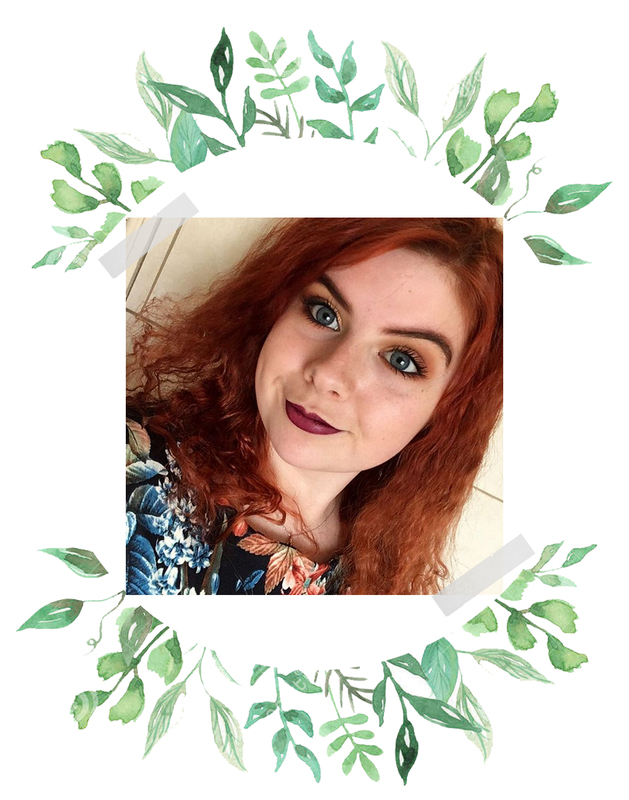 My goals this month were to put up a YouTube video every week, drink two litres of water a day (it was an important goal for me, that's why I wrote it down in two places), and to get up to Week 4 in the NHS 'Couch to 5K' podcast. 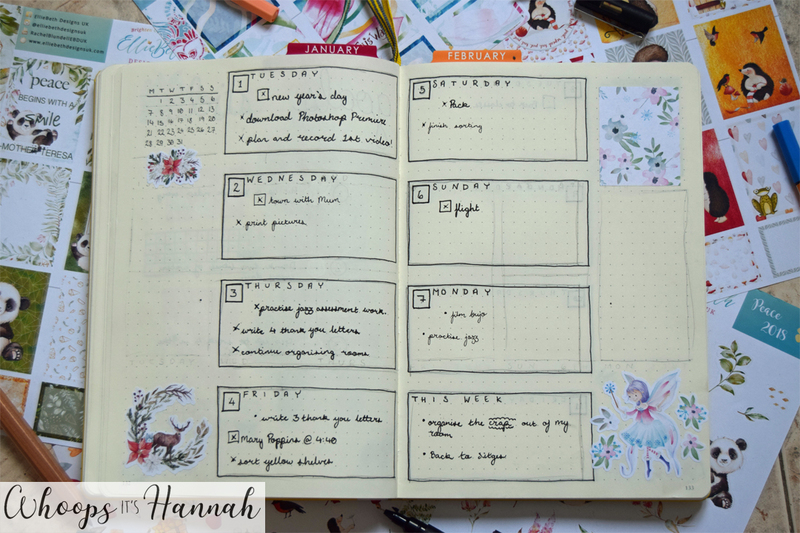 This month, I went for a layout for my weekly spreads that I'd never done before. I like it in theory, I think that the full spread looks really nice, but when it comes to writing in my tasks, I find I can only really fit three things in the boxes before it looks far too full and a bit too busy. I think that next month, I will go for a similar layout but try to allow myself a bit more space for the tasks because this layout isn't quite working for me. I realise that this post reads like an advert for EllieBeth Designs (not spon, I promise), but how cute are these polar bear stickers?! 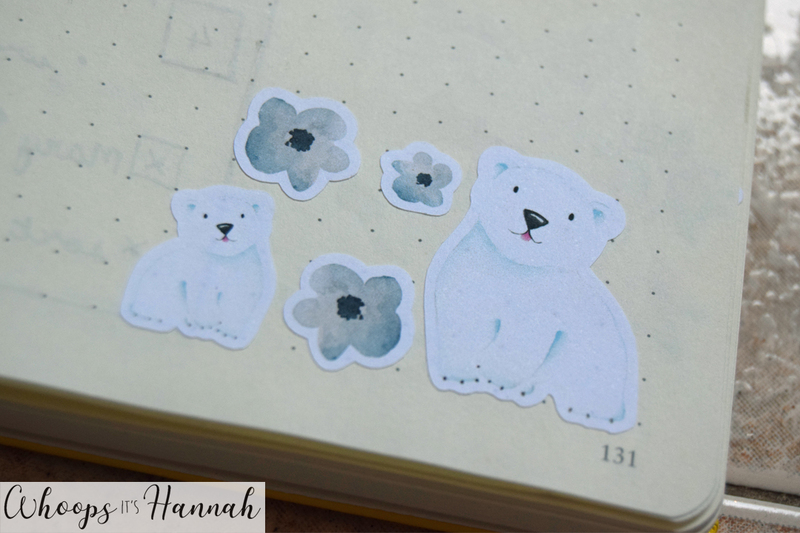 I love them too much for words! 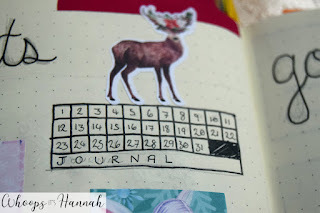 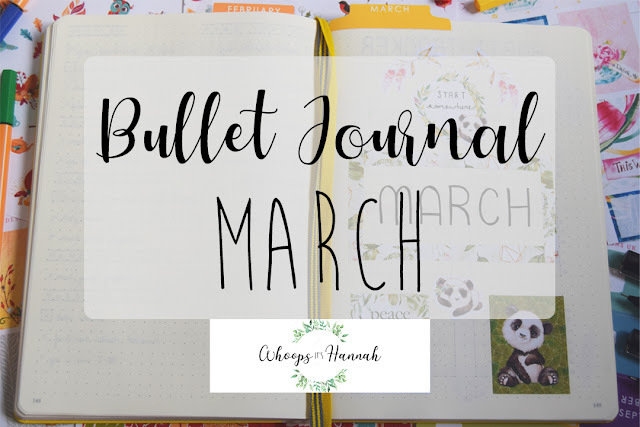 I hope that you've enjoyed this post and that it is beneficial for bullet journalling inspiration!